Here are some downloadable activities and resources to use in the classroom. Create your own chatterbox to use with a partner or someone in your group to talk about how everyone is different and why that’s a good thing. Learn about the talents of people from Heart n Soul. 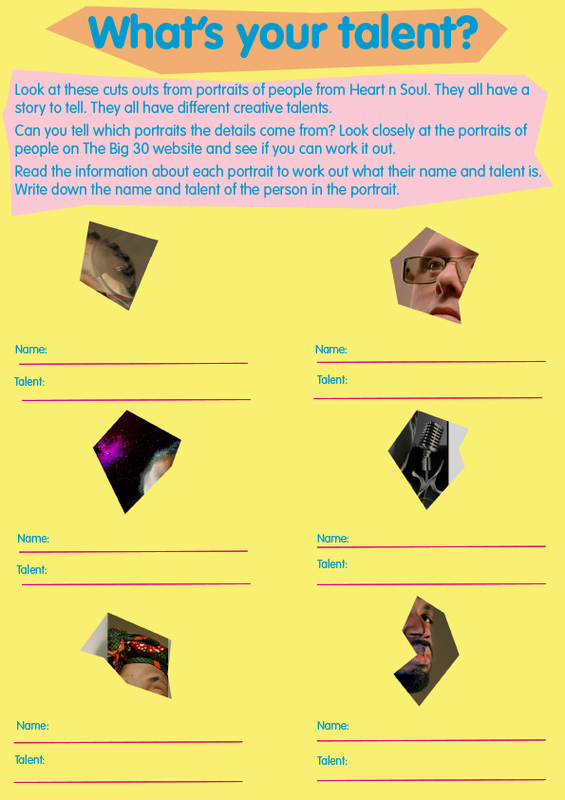 Take inspiration from the photographs of participants at Heart n Soul to create your own portrait.